Wedding Day time line. Don’t Stress! Can we just take a little bit of, “time” to talk about the wedding day timeline? 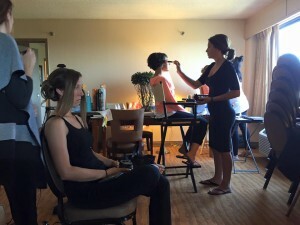 I have been experiencing a lot of brides so worried about how the timeline will go on the day of their wedding as well as being at a wedding where it was directed by a member of the bridal party shouting out the time every few minutes. Talk about STRESS! If I may suggest, I’d like to replace to word timeline with guideline. In my professional opinion the photographer will tell you what time to be ready since they know the photos you want to capture. Timelines are always an approximation, some things take longer some things take less time. Do not get so wrapped up in the actual punctuality, but live and enjoy the moment of your wedding day. The photographer is there to capture the moments that you want and if things don’t go exactly according to plan it is ok. They also allow some time for some wiggle room. Your wedding day is about marrying the person that you plan on spending the rest of your life with. We haven’t yet made anybody miss any important photos. And I promise you there will be hundreds of photos of you and your family and friends that if one were missing you wouldn’t even notice. So enjoy the planning enjoy the morning of your wedding and trust your wedding professionals! Say CHEESE! This entry was posted in Boston Weddings and tagged Timeline for your wedding Day. Planning wedding vendors., wedding planning, wedding Timeline.